Catania (Italy), Aug 25 (IANS/AKI) Italy was wrong to allow all migrants saved in the Mediterranean to enter the country, Antonio Tajani, President of the European Parliament, told journalists on Friday. “We should recall that Italy chose to be allowed to bring here all those who are rescued. And obviously, it’s a mistake,” Tajani said during a visit to the Sicilian port city of Catania. “That has happened. We need to change the agreement,” said Tajani, who belongs to the centre-right European People’s Party containing over 70 national parties from 40 countries. 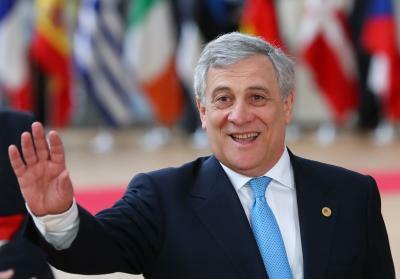 Tajani was one of the founders of billionaire media magnate and Italian ex-premier Silvio Berlusconi’s conservative Forza Italia party and is a former EU transport and industry commissioner. Immigration is one of the thorniest issues facing politicians in Italy, where over 614,000 foreigners have arrived in the past three years, mostly sub-Saharan Africans who landed by boat from Libya. Italy accuses other European Union countries of failing to share the burden of housing, maintaining and employing the migrants and wants to stem the influx. It recently introduced a controversial code of conduct for charities rescuing migrants in the Mediterranean – which several have refused to sign – amid allegations that the NGOs are abetting illegal immigration.